What is Heritage Live!® (Covered by U.S. Patent No. 9,064,282)? We are proud to provide our Heritage Live! 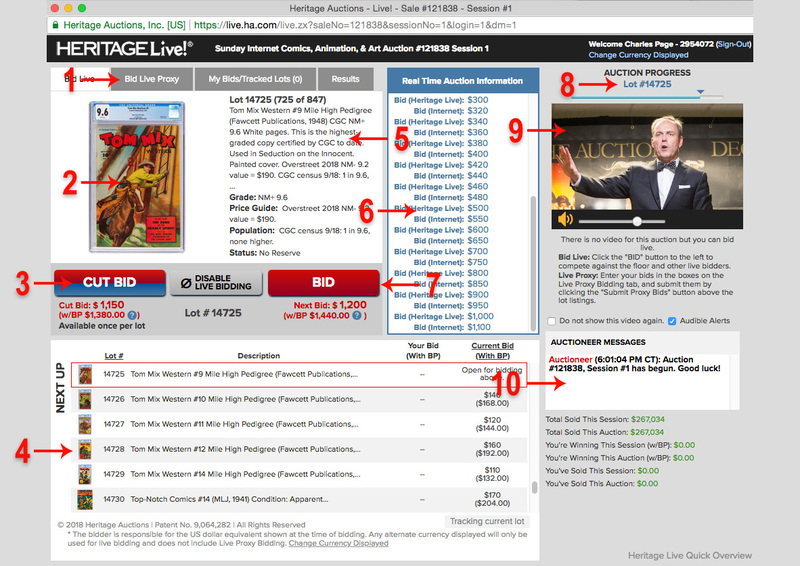 software on all auctions marked as Heritage Live . 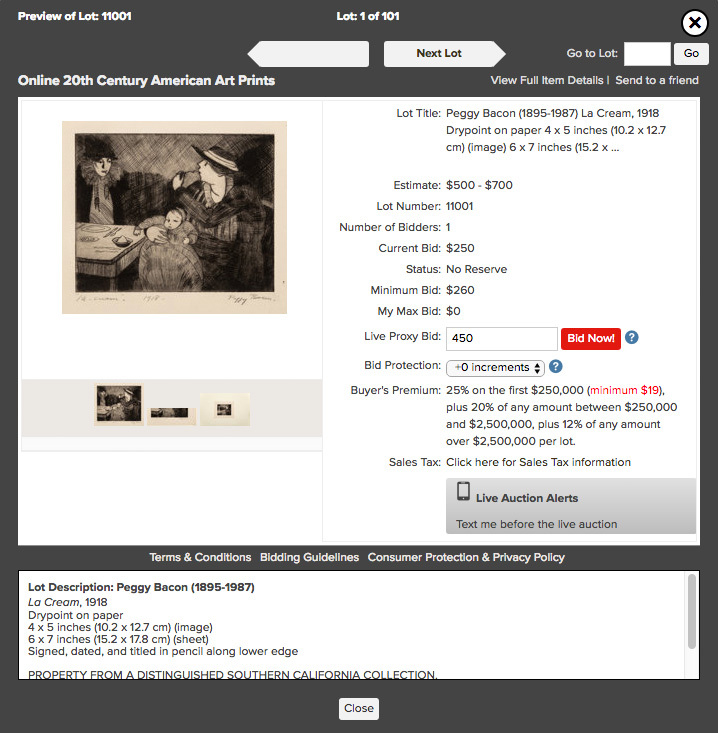 This software allows you to participate in a live Heritage auction from the comfort of your home or office over the Internet. You will be able to browse and BID LIVE during the auction event against other Internet bidders and floor bidders. Heritage Live! will be featured on all Signature (and Signature Session), Grand Format & Platinum Auctions, most offering both live streaming audio and video. To participate, please go to www.HA.com/Live during the live portion of the auction. Just enter your Heritage user name and password, and you can use the new Heritage Live! software to begin bidding. We strongly suggest you leave proxy bids at www.HA.com before the live session in the event either side experiences internet problems during the live auction. Important: The delay that occurs between the auction floor and your computer is called lag. Lag refers to the time that it takes for the auction data (text, images, audio and video) to be encoded on the auction site, transferred over the Internet, and then decoded and displayed on your end. The encoding is done in a fraction of a second. The majority of delays are due to Internet transfer times, which means that you can be affected even with a high speed Internet connection. This is further affected by factors on your computer, such as CPU speed, memory, whether other programs are running at the same time, and so on. Because of this, we will accept your bid up to three seconds after the time we close the lot (even if this means reopening the lot on the auction floor). Text is updated far more quickly than audio, video and images, which is why we recommend basing bidding decisions on the text alone. Live! shows all of the auction information in real time. LiveProxy Bidding shows all the lots, and you can enter a bid to be placed on your behalf once the lot comes up for auction. My Bids/My Tracked Lots shows the lots you are bidding on and the ones you have marked to track. Auction Results shows the auction results as they happen and provides a quick link to lots still available as a Post-Auction Buy. The image of the current lot. Once per lot, you are able to use a half increment (called a cut bid) bid. A complete listing of the upcoming lots for the session. Current Lot Information shows the current sale, session and details pertaining to the current lot, as well as number of lots completed. Message Log. 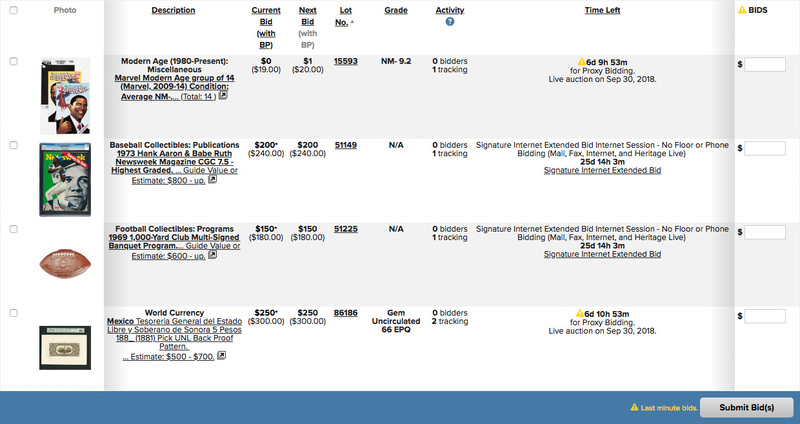 All bidding activity and bid sources, e.g., Floor, Mail, HeritageLive, etc., are displayed in this window. Bid button turns red when you are outbid and grey (not able to click) when you are winning. The next bid information is adjacent to the button. Note: if you are only watching the auction you can click the "Disable Live Bidding" button, preventing you from accidentally bidding. Setting a budget on the Hammer Price (without Buyer's Premium) will allow you to regulate your Heritage Live spending, and even automatically stop Heritage LiveProxy bids from being executed if doing so would exceed your budget. The system will execute any LiveProxy bids up to your maximum, but not more than your remaining budget. This section allows you to quickly view the current lot number and a progress bar indicating auction progress. The Live Video window where you can watch the auction live. When you mouse over the video, below the screen controls will appear: Make video full screen ; audio volume control for mute: ; volume slider for increasing and decreasing volume. Auction related messages from the Auctioneer. To bid live, watch as the lots pass, and when an item you like comes up just click on the red Bid Button. Your live bid will be communicated to the auction floor. Watch the "Real Time Auction Information" log to ensure that your live bid was accepted; after all, there may be floor bidders and other HA.com/Live bidders interested in the same lot! When your bid is accepted, a message will appear in your log stating that your bid was placed. 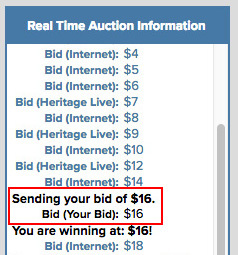 If you are the high bidder, the bid button will change color and tell you that you have the winning bid. Watch the message log until another bid is placed or the lot is closed. Previous lot results will appear just above the Real Time Auction Information. Heritage Live! 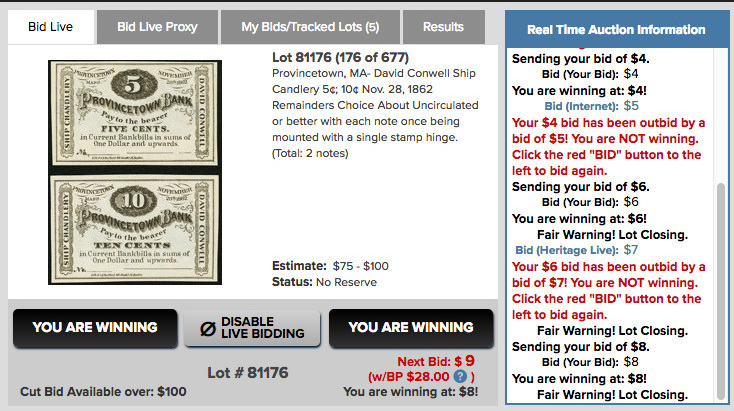 is an outstanding way to place a bid during the live portion of an auction. However, we know that sometimes you may not wish to sit at your computer for a long stretch of time waiting for an item to come up for bidding. To that end, Heritage Live! also offers LiveProxy bidding, where you can enter a bid to be placed on your behalf once the lot comes up for auction. 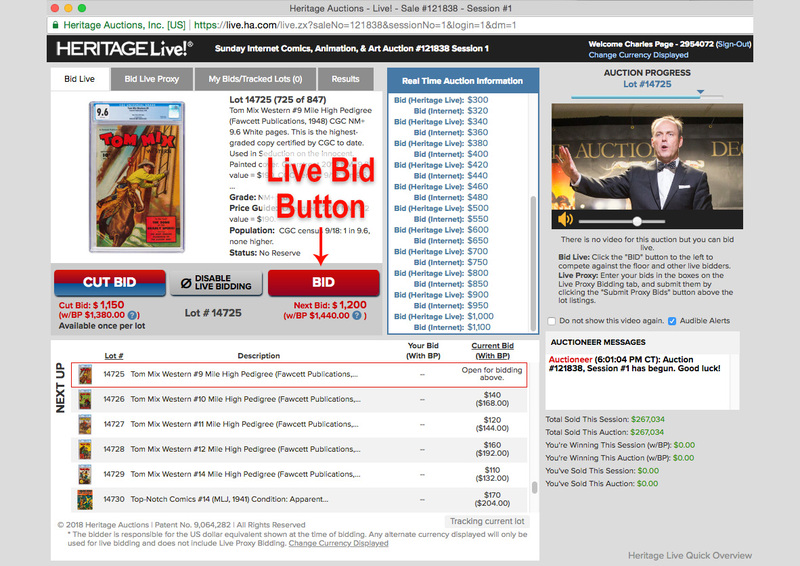 To place a LiveProxy bid through Heritage Live!, just scroll down the lot listings of the current session to the item you want. From here, there are two ways to place bids. 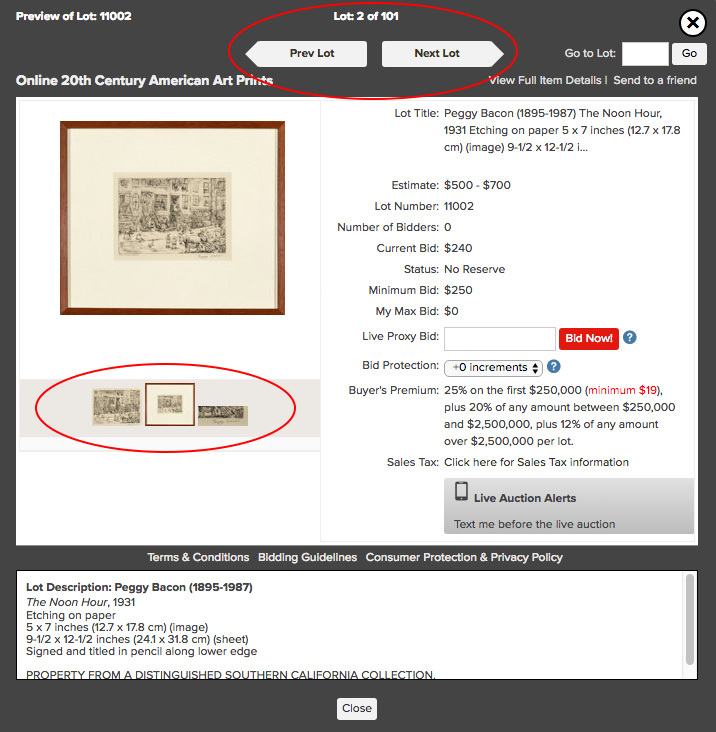 Similar to traditional batch bidding, you can enter the dollar amount you want to bid in the box (figure 1 above) next to the appropriate item(s), then click on the "Bid Live/Proxy" button (figure 2 above) to place your bids. Or, if you wish to take a closer look at the item before placing your bid, just click on the image or description of the item. This will bring up a small window dedicated to the specific lot. From here, just enter your bid into the "Live/Proxy Bid" box, and click the "Bid Now" button. You can track your Heritage Live! proxy bids, as well. Just click on the My Bids/Tracked Lots pane to review all of your proxy bids. From here, you can modify or even cancel any Heritage Live! proxy bids at any time before the lot comes up for auction. IMPORTANT: This screen does not show any bids you may have placed through the traditional methods at HA.com. In addition, Heritage Live! proxy bids are not reflected in the Current Bid amount. Heritage Live! will send the high proxy bid to the auction floor when the lot comes up for auction. If you're LiveProxy bid is outbid on the floor, you still have the chance to place another bid with one click! LiveProxy - The LiveProxy feature allows you to quickly and easily enter bids to be placed live before the auction begins (or before the respective lot has come up). These bids can be edited, changed, or deleted up to the time the item goes live. LiveProxy will bid live for you to ensure your bids get through, and if you are outbid while following the auction live, it allows you to continue bidding using the LiveBid button. 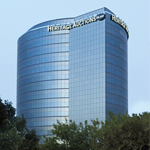 Last minute bidding insurance - Heritage Live! offers you a "second chance" to win. If you bid on HA.com and you are not winning when Internet bidding closes, you can still win the lot by going to Heritage Live! and either leaving a LiveProxy bid as detailed above or bidding live once the lot opens. If you have the winning Internet bid but are concerned you will get outbid during the live event, you can put in a LiveProxy bid for a higher amount. Or, if you watch the Live auction, you can place your bid directly against the floor. In either case, Heritage Live! has automatic safeguards to prevent you from bidding against yourself! It's an additional opportunity for you to win even if you don't attend the Live Auction. Bid Protection - Tired of losing lots by a slim margin? Now, you can choose to add Bid Protection to any lot when you place a LiveProxy bid through Heritage Live. If your bid is outbid, Bid Protection will automatically increase your bid by the increment(s) you select, as needed, giving you an additional chance to win. 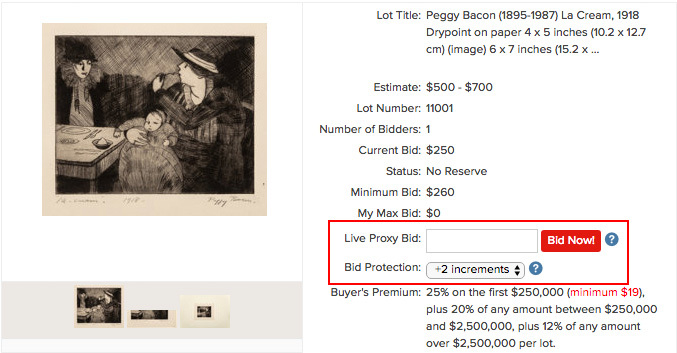 You can use Bid Protection on all items available for LiveProxy bidding through Heritage Live, except for the current lot and the next upcoming lot. There are three ways that you can add Bid Protection to your Heritage Live LiveProxy bids. 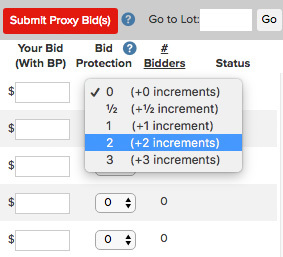 If you are bidding before the live auction or from the LiveProxy Bidding tab, just click on the Bid Protection box next to your bid, select the number of increments (½, 1, 2 or 3) and click the "Submit Proxy Bid(s)" button. If you've clicked on the link to the lot description, enter your bid, check the box below your bid amount, select the number of increments (½, 1, 2 or 3), and click on the "Bid Now!" Button. Finally, you can go to the My Bids/My Tracked Lots tab and add, remove or modify Bid Protection at any time, even for items on which you've already placed LiveProxy bids. 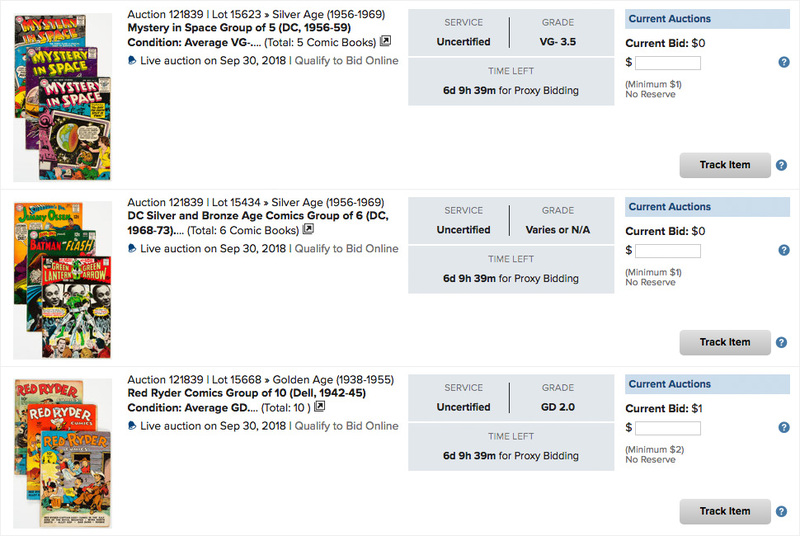 In addition, the status column will point out all items where you have Bid Protection. Bid Protection is designed to add up to 3 increments to your bid if it is needed to try to win the lot. It is not protection against much higher Internet or proxy bids. 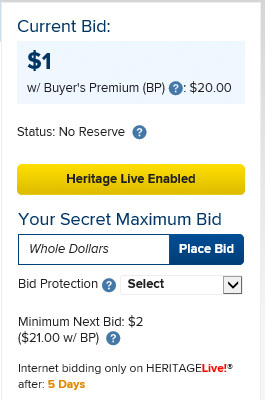 You can also add Bid Protection prior to Heritage Live on the Lot Details page and during the proxy bidding process. Learn more. Find out more with our Frequently Asked Questions guide. If I place a proxy bid on HA.com can I bid against myself in Heritage Live!? No. As long as you use the same account, Heritage Live! knows who you are and will not allow you to place a bid unless your proxy bid left from HA.com has been outbid. How can I accurately bid? The delay that occurs between the auction floor and your computer is called lag. Lag refers to the time that it takes for the auction data (text, images, audio and video) to be encoded on the auction site, transferred over the Internet, and then decoded and displayed on your end. The encoding is done in a fraction of a second. The majority of delays are due to Internet transfer times, which means that you can be affected even with a high speed Internet connection. This is further affected by factors on your computer, such as CPU speed, memory, whether other programs are running at the same time, and so on. 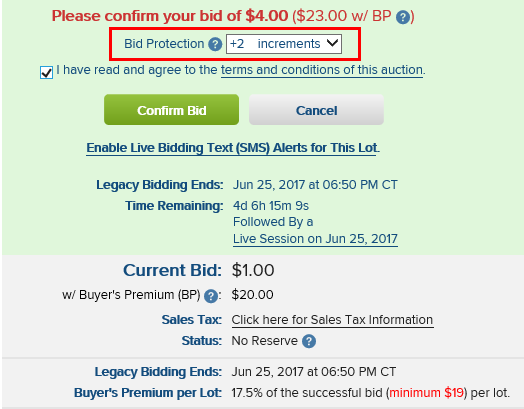 Bid Protection gives you an additional chance to win by automatically increasing your bid by the increment(s) you select, as needed, if you are outbid during the live event. Set up bid protection to help prevent from being outbid at the last moment. Learn more. How can I quickly view the lot(s) I am interested in? Enter the lot number you are interested in the box titled, "Go to Lot:" located above the "Status" field and press the "Go" button and you will be taken directly to the lot. How do I make the upcoming lot list advance? Click the "Jump to Current Lot" button located above the "Status"
What does the tab "My Bids/My Tracked Lots" do? This tab aggregates the lots you have bids on and the lots you have selected to track. What does the tab "Realized Prices" do? The "Realized Prices" tab shows the auction results as they happen. It allows you to quickly see what items sold for and provides a quick link to lots that may still be available at HA.com! What does "Disable Live Bidding" mean? By default you are able to bid just by clicking the red bid button. If you are only watching the auction and want to make sure you don't accidently bid, you can click the "Disable Live Bidding" button. You will notice the message now says "Enable Live Bidding" which when clicked will enable bidding again. Why did I lose the lot to a bidder bidding the same amount? If an Internet Proxy bidder at HA.com has placed a bid higher or equal to your bid, they will win the lot due to the fact they bid earlier and have the prior bid. How do I know if I won the lot? When the lot closes a message in green indicating you won will be displayed (see example below). In addition, you can check the item status in the "Realized Prices" tab. How do I cancel a LiveProxy bid? To cancel a LiveProxy bid, simply click the "x" adjacent to the bid and confirm you want to cancel (see below). How can I scroll through lots and see more images before and during the auction? See image below. At the top you will notice text links that allow you to go forward and backward through the auction. Below the auction photo you will notice additional images for some lot which you can mouse over to see a larger view. How do I control the audio and video? When you mouse over the video, below the screen controls will appear: Make video full screen ; audio volume control for mute: ; volume slider for increasing and decreasing volume. Are you receiving all your Heritage e-mail? 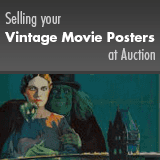 Help ensure that your Heritage Auctions e-mails are always delivered to your inbox. Login to your e-mail system right now, and add the following domain HA.com and/or address Bid@HA.com to your email address book, contacts or safe senders list. Search or browse for the lot that you're interested in. 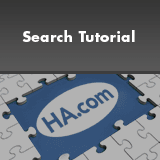 You can do this from the HA.com home page, from the Auctions home page, or from the home page for the particular auction you wish to participate in. Click on the link or the photo icon for the lot that you want to bid on, or you can bid straight from the Search Results page. 4. On this page, you will see a box, which allows you to place a bid. 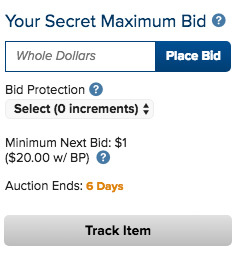 You will need to enter your secret maximum bid. If you are not logged in, you will then be prompted to enter your user name, and your password. 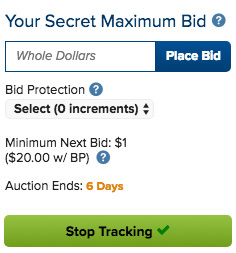 The secret maximum bid is the maximum amount you are willing to pay for the item you're interested in. However, your current bid at any time will be the lesser of your maximum bid or one bid increment above what any other bidder has bid on your item. Click on the button marked "Place Bid" again to continue. You will be taken to a page entitled "Please Confirm Your Bid". This page will show you the name of the item you're bidding on, the current bid, and the maximum bid. When you are satisfied with your bid, click on the button marked "Confirm Bid". You will be taken to either of two pages. If your bid is the current high bid, you will be notified, and given some information on what might happen with your bid over the remainder of the auction. You will also receive a Bid Confirmation notice via e-mail. If your bid is not the current high bid, you will be taken to a page that will notify you of that fact and allow you to place another bid. Some of our auctions offer extended bidding for bidders who have already placed a bid. 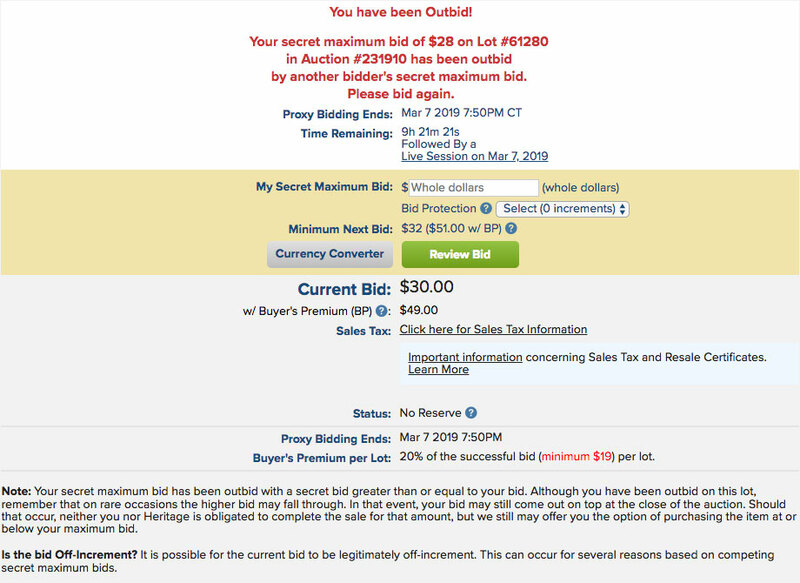 To see if extended bidding applies to your lot, look for the "Special Bidding Rules" link near the bid box. If you have already placed a bid, both the lot page and the search results will reflect the extended bidding deadline if you are logged in. Continue with the Heritage Live!® Tutorial. The big Heritage auction has come around, and you've found that item you want. You've placed the bid that you know will win the item for you. But while you know you're the leading bidder, the current bid keeps creeping higher and higher. Will your bid hold out against the Internet bidders who show up in the last ten minutes of the auction? Will it be able to win the lot against the people on the auction floor? Because you have already entered a bid on the Heritage site does not mean you can't enter another. You can increase your bid simply by bidding in exactly the same way you placed your original bid, through the page describing the individual item, or you can increase your bid through any of the pages that allow Batch Bidding. 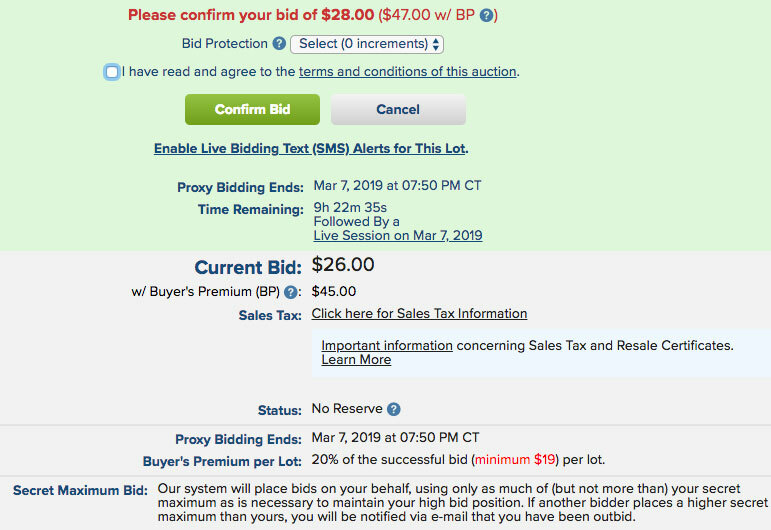 You do not bid against yourself; your bid is merely changed to the new amount and the current bid - what the item would sell for if the auction ended immediately — is then recalculated. Note: Increasing your maximum bid when you are already the high bidder will NOT result in an increase in the current bid. Bid Protection gives you an additional chance to win by automatically increasing your bid by the increment(s) you select, as needed, if you are outbid during the live event. This protects you from being "sniped" at the last moment. Bid Protection can be entered at any time except for on the current lot and the next, upcoming lot during Heritage Live. It's simple. Just check the Bid Protection box and select the desired number of increments (½, 1, 2 or 3) when you place a bid. There are several places where you can add Bid Protection to your bids. Learn more about Bid Protection in Heritage Live! Note: The extra increment(s) won't be placed until the item is up for live bidding, so it is possible that you could be outbid by a bid placed prior to live bidding, such as another proxy bid, LiveProxy bid, mail bid, etc., which could result in your losing the lot by that increment. For the same reason, it is also possible that a currently losing bid with bid protection placed could potentially win the lot once the lot is subject to live bidding and the Bid Protection increment(s) placed. Bid Protection is designed to add up to 3 increments to your bid if it is needed to try to win the lot. It is not protection against much higher Internet or proxy bids. You only need to bid once. Bid the maximum amount you are willing to pay for this auction lot. This amount, unseen by other bidders or consignors, will be used to bid for you as long as the current bid is lower than your bid. Bids must be whole dollar amounts. Partial dollar amounts will not be accepted. Review your bid carefully before submitting it. Make sure that you are willing to pay the price you bid for this lot. If you make a mistake on your bid, you will have only one more chance to correct it before it becomes final. If this lot has a photograph, click it for a more detailed view of the item. A Buyer's Premium per Lot is charged in addition to the successful bid. Because bids come in via phone, Email, FAX, regular mail, etc., a tie for the high bid is possible. In the event of a tie for the high bid, the first bid entered - regardless of its source - wins. If you are the successful high bidder when the auction closes, you will receive an Email confirmation immediately following the auction followed by an E-mail invoice in the next few days for your winnings. Terms and conditions differ for each type of sale and are subject to changes. Please review our Terms and Conditions. Your bid means that you accept them and will comply if you are the winning bidder. Shipping varies according to the item type and quantity. View our complete shipping chart. Bid increments determine the lowest amount you may bid on a particular lot. Normally, bids must be at least one bidding increment over the Current Bid. However, podium, fax, phone and mail bidders submit bids at various times without knowing the current bid and must be on-increment or at a half increment (called a Cut Bid). Any podium, fax, phone, or mail bids that do not conform to a full or half increment will be rounded up or down to the nearest full or half increment. One increment above the second highest bid on the item. If a reserve has been posted on the lot, the current bid may not be less than the reserve. In our Signature Auctions, we receive bids from many sources, such as faxes, mail bids, absentee phone bids, and podium bids - written bids left by someone present at the auction site. These bidders may not know the current bid at the time they place their bid; however their bid must be on-increment or at a half increment (called a cut bid). Any podium, fax, phone, or mail bids that do not conform to a full or half increment will be rounded up or down to the nearest full or half increment. The rules for Internet bidders are a little different. Internet bidders need only bid an amount equal to or greater than the next increment. Internet bids greater than the minimum required next bid can be any whole dollar amount. It is possible under several circumstances for winning bids to be between increments, sometimes only $1 above the previous increment (see below). When the auction closes, the winner of the item will be the person with the highest bid, but the hammer price of the item will be the calculated current bid on the item, regardless of what the actual high bid was. This allows you as a bidder to win items for less than your maximum bid. Our Signature Auctions open up on the auction floor at the Current Bid. We will execute the high Internet bidder's secret maximum bid on his behalf until he either wins the lot or is outbid. Bidding increments for all of our auctions follow this table. Note that this is calculated without regard to the current bid; if an item has a current bid of $175, then the next bid will be $180, then $190, $200, $220, $240, etc. If the previous maximum bid was $109 or less, the new bid will become the high bid and the current bid will become the bidding increment above the previous bid. If the previous maximum bid was exactly $110, the new bid will become the high bid and the current bid will become exactly $111. If the previous maximum bid was between $111 and $119, the new bid will be immediately outbid, and the current bid will become the previous bidder's high bid. If the previous maximum bid was $120 or more, the new bid will be immediately outbid, and the current bid will become $120. Heritage offers the "Make an Offer" feature on all items that have been in inventory for over 30 days. All of our items are priced to sell quickly because inventory turnover is a key to our business. But sometimes even the best things don't sell right away, and in the past we have generally wholesaled these to other dealers. Frankly, we would rather sell these items to our collector clients, since we always need pieces for stock and our auctions and we have found that our clients tend to remember Heritage when they sell their collections. We will gladly sell you these items at bona fide wholesale prices, or even a bit less. Heritage will either accept your offer or pass, usually within three business days or less. Our usual satisfaction guarantees still apply. The page will list the item and the suggested offer range. Enter your name and e-mail so we know who to contact, and then enter your offer in the appropriate box. Heritage will accept the highest offer in this price range received in the three business days (or less) after the first offer is received. Ties always go to the first offer. Heritage will not counteroffer or play you off against another buyer -- we will either pass or play within three business days. Offers below the recommended range will automatically be rejected. Offers above the recommended range will automatically be accepted unless the item is no longer available. Therefore, if you want to be awarded the item right away, assuming it is still available, without waiting up to three business days, we suggest you offer $1 above the high end of the suggested price range. If you have already decided which lots in one of our auctions you would like to bid on, but do not want to enter your name and password individually for every single lot, you can use our Batch Bidding feature. Track the items you're interested in bidding on. You can do this from either the full auction listing, or from the page for each individual lot. Once you have determined which items you wish to bid on, and the amounts of your bids, go to the "My Bids" page, located under the "My Heritage" tab. Choose "Items I'm Tracking". This will bring you to a complete listing of items that you have chosen to track and have not yet bid on. Enter the amounts that you wish to bid for each item on which you wish to place a bid. At the bottom of the page, enter your user name and password. A dialog box will appear, asking you if you wish to confirm the bids you just entered. If you wish to confirm the bids, choose "OK". This will enter your bids. Important: items that you have bid on will no longer appear on the "Items I'm Tracking" page; rather, they will appear on the "My Bids" page. You can also batch bid from the "My Bids" page. This requires exactly the same process as batch bidding from the "Items I'm Tracking" page, as outlined above in items 3 and 4. Batch bidding is intended as a labor saving aid only. Depending on the number of bids you submit at any one time it may take awhile to transfer those bids into our system so you should not count on being able to snipe bids at the last minute. We make no guarantee that your bids will be executed on time. Other bids may be coming in during the time that your "Batch Bids" are being processed causing you to lose a tie bid entered before yours. We recommend that you not use batch bidding within one hour of the close of the auction. Although many lots will not get reserves, this signifies that we have not yet posted any reserves to this entire auction. Reserves are usually posted approximately 3 days prior to the closing for Internet-only auctions, and approximately 7 days prior to the live session for Signature auctions. At that point, any unmet Reserve will become both the price shown (with an asterisk) and the Minimum Next Bid, regardless of any previous bids. Although the consignor's agreement allows a reserve on this lot, the deadline for submitting such a reserve has elapsed. If consignor submits a reserve post-deadline and the item fails to meet that reserve, we may charge the consignor a higher reserve fee. A reserve has been posted on this lot, but no bids have met the reserve. The current bid has been set to the reserve amount, and the next bid will meet the reserve. Reserves have been posted for this auction, and there is a reserve on this lot that has already been met. Lots bearing estimates and without Consignor Reserve shall open at Heritage Auctions' discretion (usually 25% to 60% of the low estimate). If you wish to keep track of lots in a Heritage auction for later bids, you can do so through our website via the Tracking feature. This gives you one location to find everything you're interested in, as well as allowing you to Batch Bid from that page. From this page, you can watch the progress of the bids on these items, remove the items from tracking, or even place a batch bid. Note that My Tracked Lots only covers items that you have not bid on, because it's designed to allow you to watch items that you are interested in for any reason but may not have any intention of bidding on. Once you place a bid on any tracked item, it will not show up on the My Tracks page, but will be available normally from My Bids. 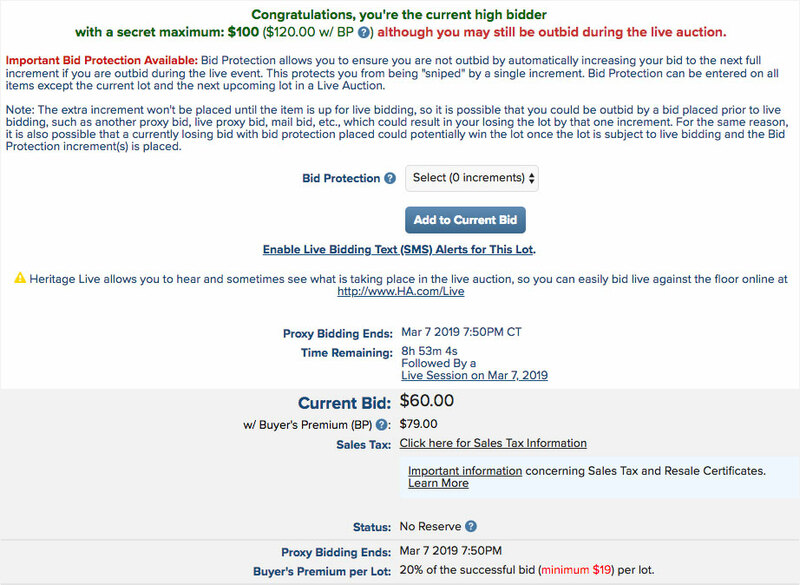 Getting outbid immediately upon placing a bid will happen if another bidder has previously placed a secret maximum bid higher than the secret maximum bid you are placing. Any time you place a bid online, that amount serves as a "secret maximum bid" referred to in the auction industry as a "proxy bid". The auction house uses your secret proxy bid to compete for you against other bidders in the auction, always raising your current bid to the minimum needed to win the lot, but no more than your secret maximum. The current bid on a lot shows what is currently necessary to win a lot, but may not reflect the true secret maximum of the top bidder. When there is only one bidder, the current bid will always be $1 since that is one increment above the next lowest bid of $0, but the bidder's secret maximum is hidden in the system and competing for them. Example: If the current bid on a lot is $0 because no one has placed a bid and you then bid $1000, the current bid will be $1. If no one else ever bids against you, you would win the lot at $1 - not $1000. If someone else bids $750, the current bid will immediately increase to $775, the minimum bid required to win the lot, which is one increment over the next highest bid. 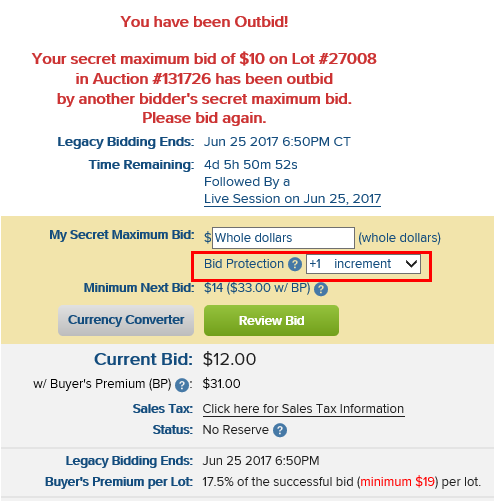 The $775 bid is your bid since your secret maximum is competing for you, and the low bidder would immediately receive an outbid notice. On the File menu, click Import and Export. Click to select the .ics file that you saved in Step 3, and then click Open.